Hello friends! I’ve been holding onto this goodie for too long. It is time to share. 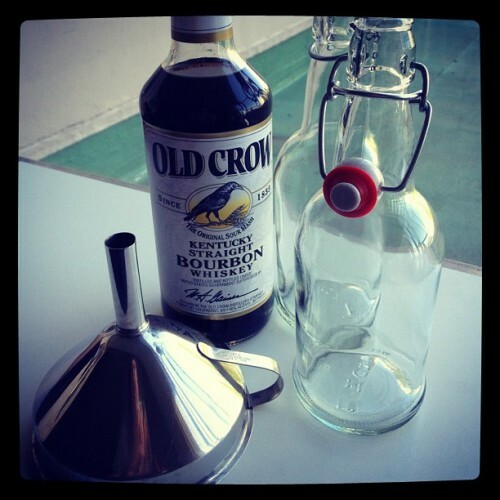 Today we’re making homemade vanilla extract. Why would you make your own vanilla extract? Aren’t vanilla beans expensive? 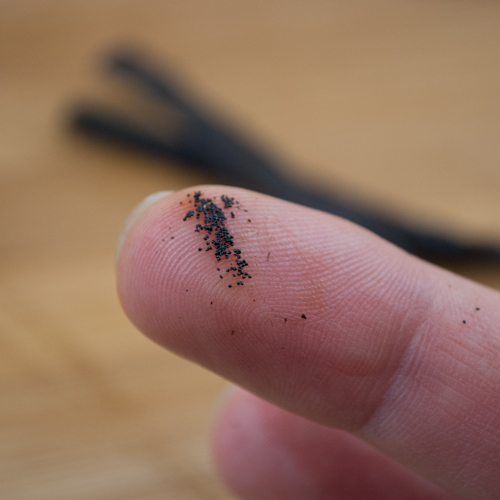 Vanilla beans are the second most expensive spice in the world, saffron being number one. 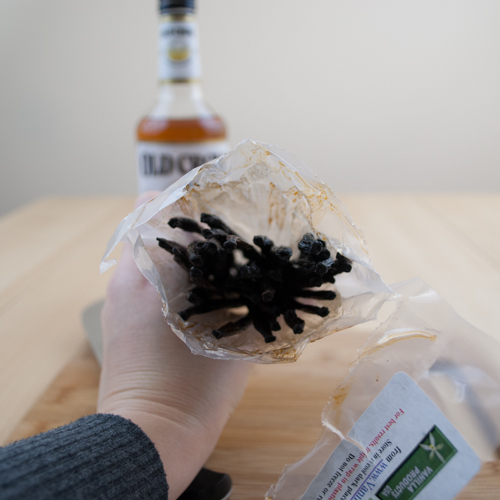 But, making your own vanilla extract is cost-effective, fun, and easy. There are no crazy long-winded instructions. Buy vanilla beans. Buy vodka, bourbon or something else equally interesting. Don’t spend too much, unless you want to. 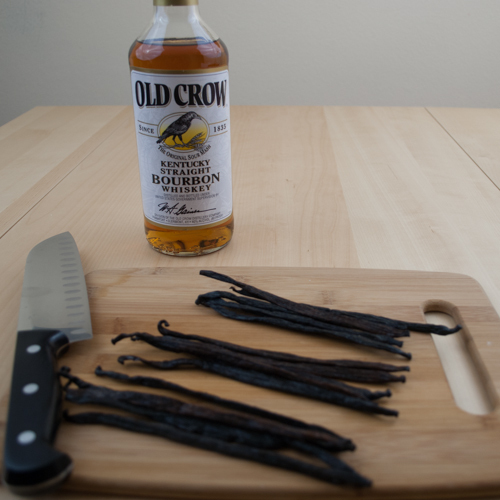 Smash and cut up vanilla beans and add to alcohol. Wait. Shake. Wait. Shake. Smell. Wait. Shake. Buy vanilla beans. Check. I’ve bought them twice through eBay but I see they are also available on Amazon. Skip the two vanilla beans in a small jar like you’d get at the grocery store. Those two beans are infinitely more expensive than buying in bulk. If you buy a 1/4 lb of beans, buy 2 – 750 milliliters of vodka (to double the recipe) or give half the beans away to a friend so they can begin infusing too. 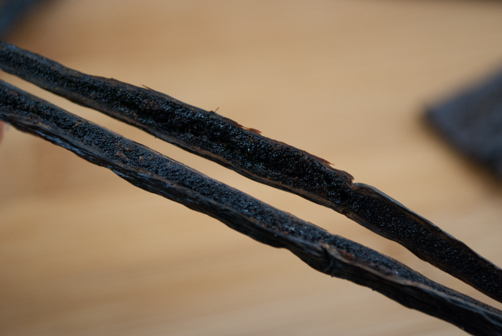 Vanilla beans look like something you’d kick with your feet while walking along a trail. They are naturally sticky inside. With teeny tiny caviar-like beads. I encourage you to open the bottle and take a big sniff every week. The vanilla fragrance is breathtaking. 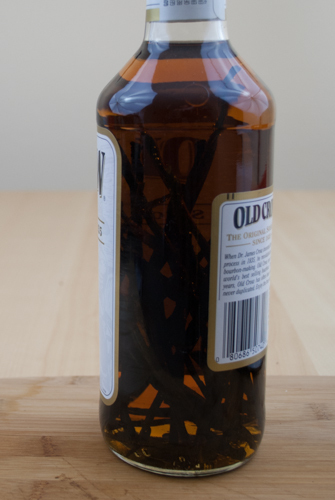 Remove about 0.5 oz of alcohol from the bottle to make room for the vanilla beans. Slice lengthwise and chop—or—just chop the beans into 1 inch sections and add to alcohol. Cap and shake. Store in a dark area of the kitchen. Shake once a week. Once infused continue to store in the same container with the beans or divide into small glass jars and split the vanilla beans among the jars. The extract will keep indefinitely. I began my vanilla extract adventures in 2011 and that first bottle has lasted me about a year and a half. With the approaching end of that bottle, I started a second one a couple of months ago in August. I plan on infusing that until December. So, $16 ($11 vodka + $5 beans) = 750 ml of pure quality extract. 750 ml is about 25 1/3 oz, which is about 3 – 8 oz bottles. 8 oz of pure vanilla extract can range from $10 – $20. 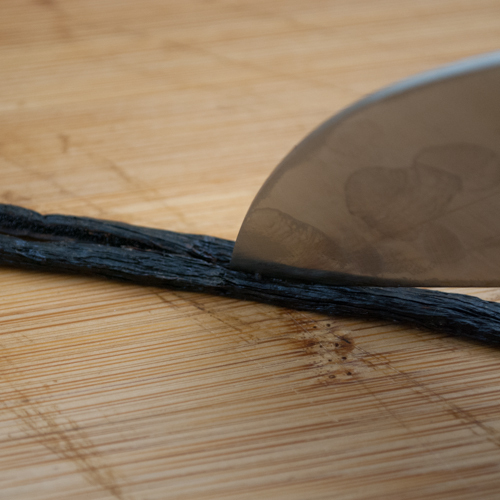 8 oz of homemade pure vanilla extract costs about $5.30, saving you $5 – $15. Pretty good indeed and you’ve acquired a new skill. What other infusions have you made or would like to try? I would like to try sour patch kids infused vodka…how crazy would that be? If we want to stay on the healthier path I vote cucumber juniper berry infused vodka or gin. My Mom brought me some vanilla from Mexico years ago and it was Amazing! I always wondered how the “infusion” was done…time to try it myself. Thank you for the instructions! You’re welcome Jan, have fun! I usually buy organic vanilla beans from Saffron.com Last I bought some they were the cheapest around and really good quality. I bought a pound of vanilla beans last time and the irony is they sent me a free bottle of vanilla extract – on the list of ingredients was sugar! Disappointing they would add sugar to their recipe when it’s SO not necessary. I made a ton of vanilla extract and gave it away in 8oz bottles for Christmas – people loved it!